Throughout the year, we participate in various community events. At events like this, we are able to share our love of sewing with others. 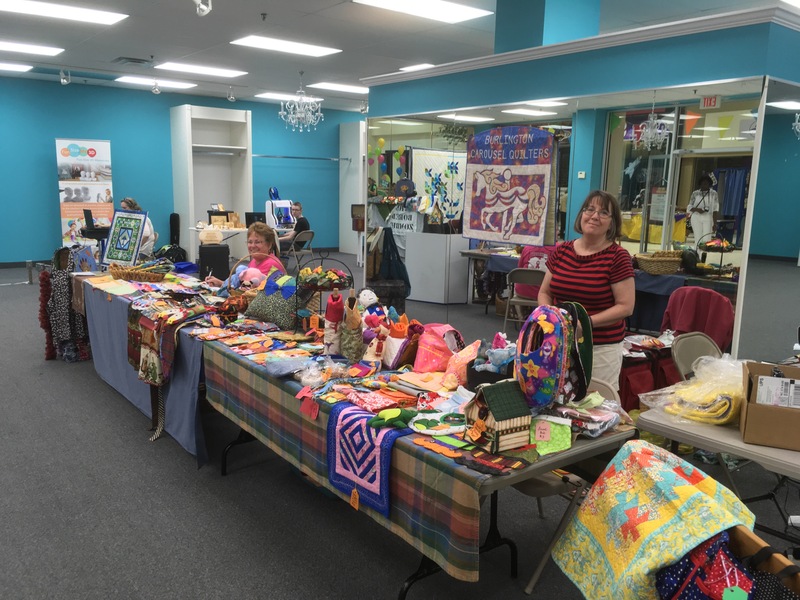 We also exhibit and sell handcrafted boutique items, and proceeds from sales support guild programming and purchase of supplies for charity sewing. Learn more about where your money goes when you purchase sewn items from us. We celebrated National Quilting Day 2017 with our first pop-up quilt show at Holly Hill Mall. Check out photos from our quilt show and see local media coverage including Show to commemorate National Quilting Day and Burlington Carousel Quilt Guild shows off. Check out summaries of recent community events.